Stand out in the croud withe these stylish flat sandals! Their studded, beaded,makes them truly unique and a must for your summer wardrobe! 3.Good choice for holiday and daily wear. 2.Decorated with colorful beads,can be matched with any clothes. 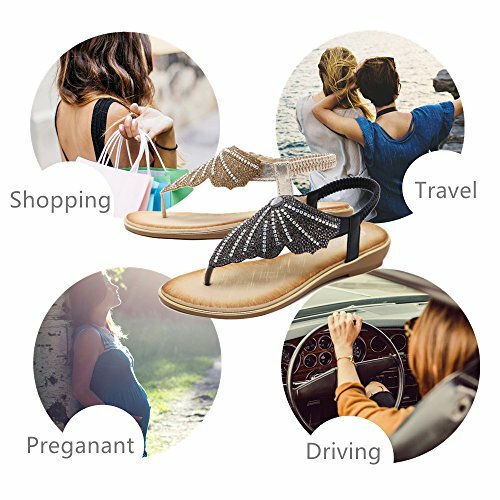 1.Lightly padded footbed helps to reduce fatigue while you’re on your feet. ABOUT SIZE : PLEASE ORDER YOUR RIGHT SIZE ,IF your foot is Wide ,Please Choose One Size Bigger ,it will match your foot better . 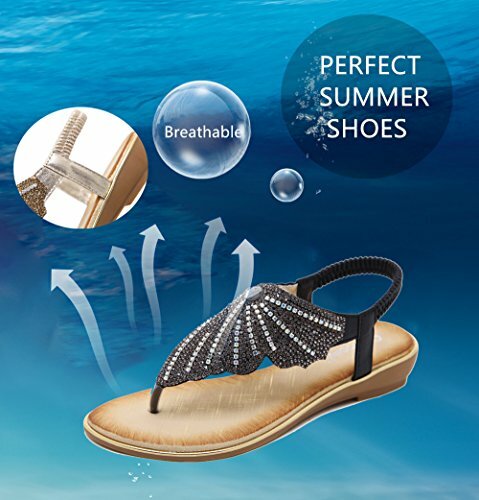 GET READY FOR OUTDOOR -These comfortable easy on, easy off Beaded Flip Flop Sandals allows you to just step in & play. Take them to the beach, to the park or even in-between classes. Comfortable, lightweight & stylish. THE MOST TRENDING STYLE – Stay on trend by wearing these women’s flat sandals. 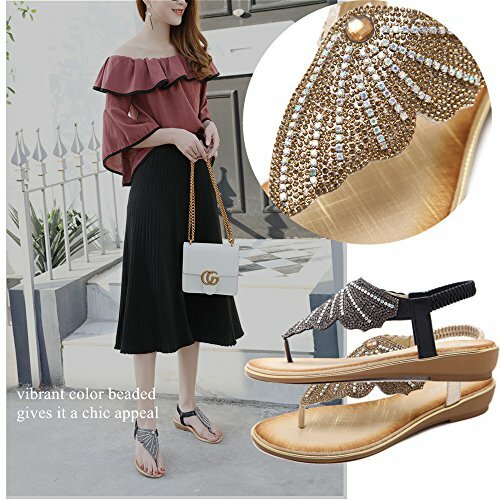 These sandals features vibrant color and bohemian crystal beaded rhionestone that gives it a chic appeal while the padded footbed offers comfort. COMPLIMENTS ANY OUTFIT – Add a touch of glamour to your everyday attire with these flat beaded sandals. 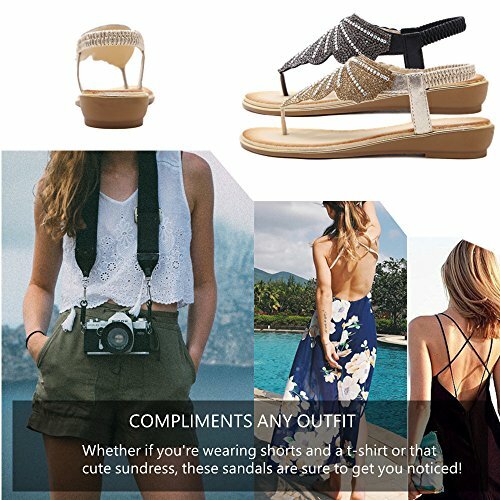 Whether if you’re wearing shorts and a t-shirt or that cute sundress, these sandals are sure to get you noticed! 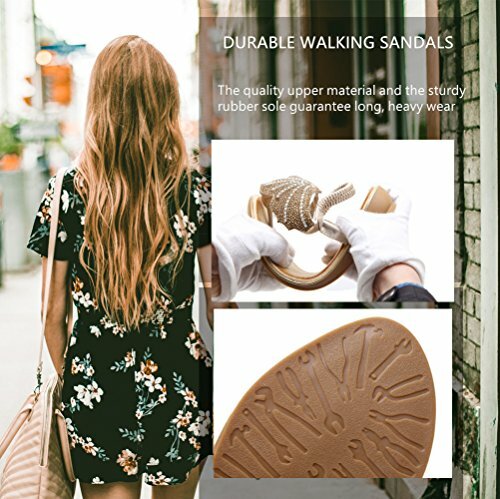 DURABLE WALKING SANDALS – The quality upper material and the sturdy rubber sole guarantee long, heavy wear. Put them on and set off shopping, hiking or on your daily out and about; they will be with you for a long, long time!